Today’s offering is from the mbaqanga-traditional group Usizwe Namatshitshi, one of the popular bands of the day and one of the groups at the forefront of producer Hamilton “Vala” Nzimande’s prolific production house Isibaya Esikhulu Music. Noma Ungayaphi Bakhala Ngathi, released on the CBS label, was released in 1971. The South African black music market of the mid-1960s had been dominated by the infectious sounds of mbaqanga and mgqashiyo, with the most successful artists utilising the now-familiar elements of a girl group, a male groaner and a backing team. 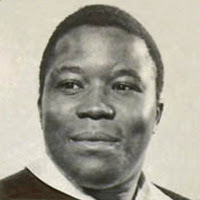 Gallo’s Mavuthela division, under producer Rupert Bopape, had mostly perfected this formula – but Hamilton Nzimande was the only rival producer to build up a strong roster of musicians that seriously challenged the crown. Mthunzi Malinga, Joseph Mthimkhulu and Saul Shabalala rivalled Mavuthela’s Simon “Mahlathini” Nkabinde, Boy Nze Magatole and Robert “Mbazo” Mkhize; Izintombi Zesi Manje Manje opponents were the Mahotella Queens; and Abafana Bentuthuko jived as hard as the Makgona Tsohle Band. Another of Nzimande’s popular acts was Usizwe Namatshitshi, a combination of singer-groaner Sizwe Mazibuko and the five-strong female troupe Amatshitshi (The princesses), comprising Busi Dlamini, Nomusa Mathebula, Dudu Hlophe and others. 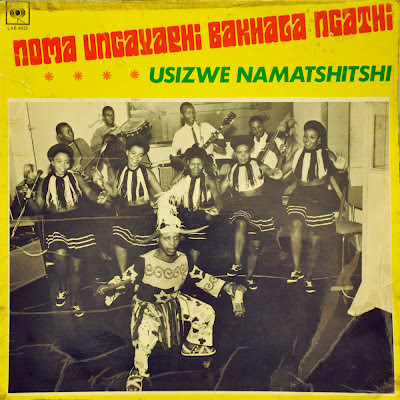 The sound of Usizwe Namatshitshi was a pleasant and strong meld of traditional Zulu harmonies and rhythms with the melodic patterns of mbaqanga. Their stage outfits were strikingly custom, with beads, brassieres and battle shields, and their songs were of the appropriate material: “Mnikeleni Induku Yakhe” (“give them our fighting sticks”) is but one example. 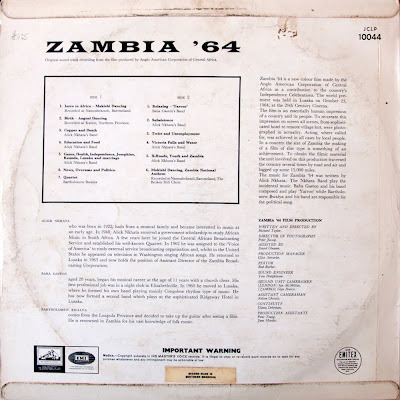 Much of their material was written by producer Nzimande (who is also credited as “musical director” on this LP) but several group members also contributed lyrics. 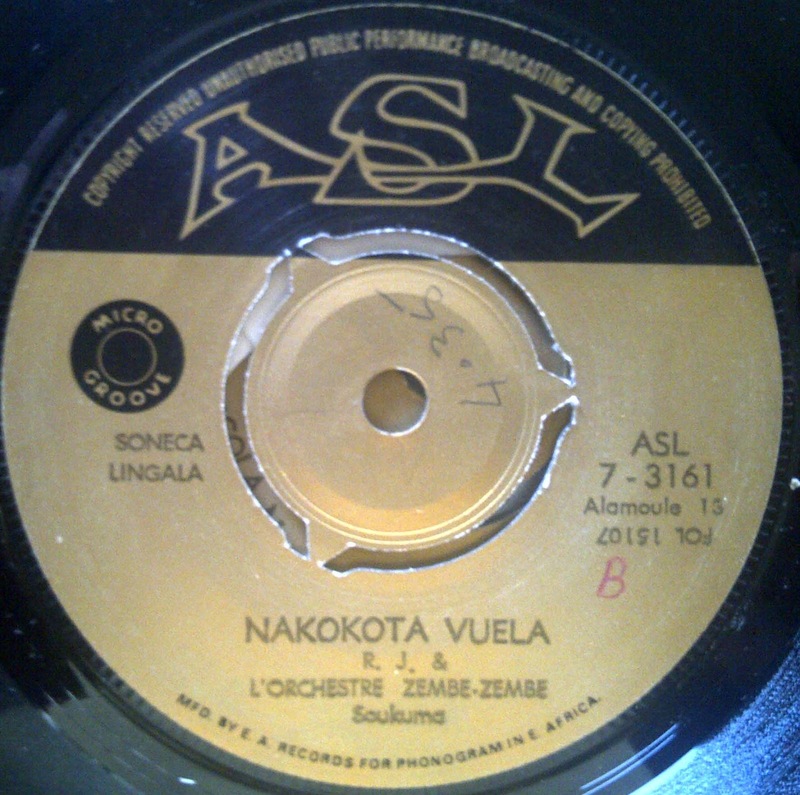 The composer credits of Noma Ungayaphi Bakhala Ngathi rather interestingly reveal that both Meshack Mkhwanazi and Albert Motha had begun their musical careers in the backing band of Usizwe Namatshitshi – both Mkhwanazi (a rhythm guitarist, bassist and drummer) and Motha (a guitarist and vocalist) went on to become the founder members of the last successful band of mbaqanga’s heyday, Amaswazi Emvelo, in 1978. By that point, mbaqanga was faltering in popularity - but it is a testament to both members that Amaswazi was a group that was consistently popular and highly productive until the late 1980s. The traditional rhythms on this LP are catchy indeed, and although our copy of the LP isn’t in the best of conditions, it’s something I felt we should share with you. Enjoy! 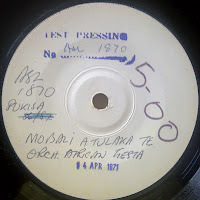 Following on from the sweet Baba Gaston track on Matt’s Zambia 64 post last week I was prompted to haul out one or two more of Gaston's singles. One thing leading to another, I started digitising a few more, and got to wondering again why Congolese-inspired Rumba did not catch on much in South Africa (except in the north near the Zimbabwe border). There are one or two interesting “Congo Cha Cha” tracks recorded by South African artists in the early 60s on 78rpm, and then there is the East African adventure by South Africa’s Gallo Record Company. According to former Gallo archivist Rob Allingham, the company set up Gallo Nairobi in the early 1950s. Following Kenya’s independence in 1963 visible South African ownership of the company became a problem, so Associated Sounds (East Africa) Pty Ltd (ASL) was set up as a dummy company by Gallo in the United Kingdom. ASL had their own Kenyan pressing plant. So, herewith another opportunity for those South African brothers and sisters not yet familiar with this wonderful music to give it a listen. 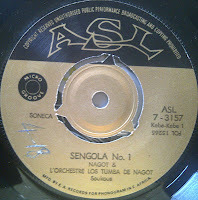 The tracks I share today are all from ASL label in the early 70s. If these 'hit the spot' for you, leave a comment and let me know - it will help motivate me to digitise and share more from this ASL collection. 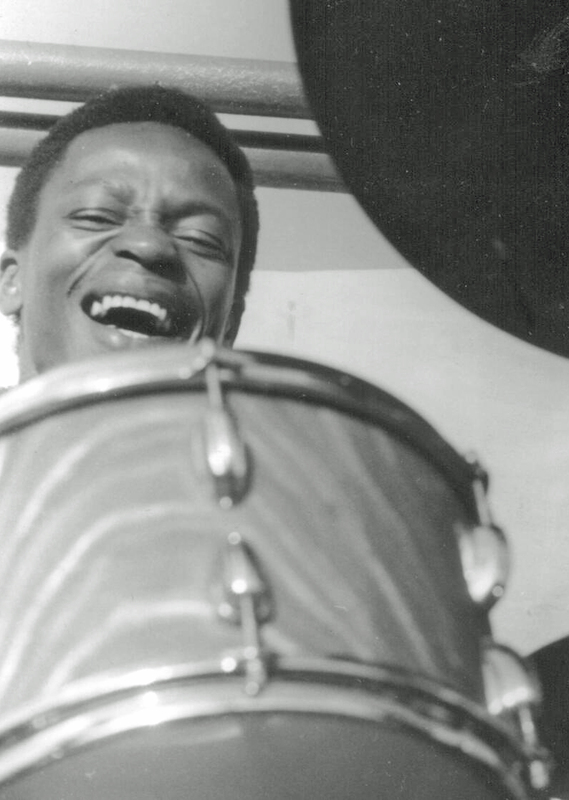 This previously unreleased recording marks the very last time that Johnny Dyani and Dudu Pukwana performed in South Africa, days before going into exile with Chris McGregor and the Blue Notes via the Antibes Jazz Festival in July 1964. Captured at “The Room At The Top” in Cape Town by Ian Bruce Huntley, this live gig represents a poignant last union and “point of fracture” from which six very talented artists struck out to seek their respective musical fortunes. I am hopeful that those jazz enthusiasts among you might want to share your thoughts on the arrangements and interpretation of these four tracks spanning just over seventy minutes. For all these musicians July 1964 in Cape Town was a big turning point, for some, a leap into unknown fragmented futures scattered across the globe. I cannot hear this music without this uncertain emergent context in mind. Read Tony McGregor describing the ‘journey of faith’ here. On the opening track of the concert Ronnie Beer’s tenor sax leads into Dizzy Gillespie’s ‘Night in Tunisia’ with a strong upbeat performance. The introduction of Dennis Mpale’s trumpet in the fifth minute shakes it all up, setting the scene for a vibrant evening of musical conversations pivoting around the swinging Johnny Dyani bass and tight drumming from Max Dayimani, punctuated by Tete Mbambisa’s bubbling piano. Before Dudu Pukwana joins in for the last two tracks, Ronnie Beer further demonstrates his class with the band rendering his own upbeat composition, ‘Immediately’. Bra Tete does his own bit of vocal scatting following his fingers in joyful moments of letting go. The towering Dudu Pukwana summonses attention in the opening of ‘Green Dolphin Street’,(thanks Jonathan for the correction) before the conversation meanders comfortably along, providing spaces for exploratory solos. It is an historical sadness that a beautiful Pukwana solo is abruptly interrupted for what was the end of one side of Ian’s reel-to-reel tape. Each listening of Dudu Pukwana’s plaintive alto sax on the essentially gloomy final track, “Close Your Eyes” sparks my own imagining of emotional turmoil and uncertainty. Introduced by Dennis Mpale on trumpet over an ever-swinging Dyani-Dayimani rhythm, and preceded by Ronnie Beer on tenor sax, Pukwana enters in the seventh minute in muted protest, which unwinds over ten minutes of exquisite contemplation. But then, approaching seventeen minutes in, the ever playful Tete Mbambisa (piano) starts to swing with Dyani and Dayimani, letting out yelps and whoops of appreciation in the music’s moment. Following a brief Dyani solo, Ronnie Beer interjects on tenor sax in the 21st minute to ‘hayibo’ shouts of appreciation, followed by Dennis Mpale’s uplifting trumpet. Somehow, after that Pukwana’s final and brief closing re-entry sounds more resolute. All the recordings by Ian Bruce Huntley were made with the explicit support and permission of the band members recorded. 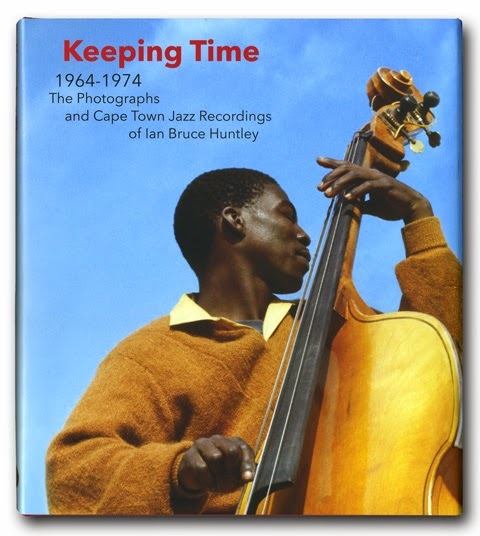 Ian has agreed to Electric Jive sharing these recordings freely on a non-commercial basis as a means of honouring the musicians and ensuring that this important legacy does not become lost. Something a little different this week! 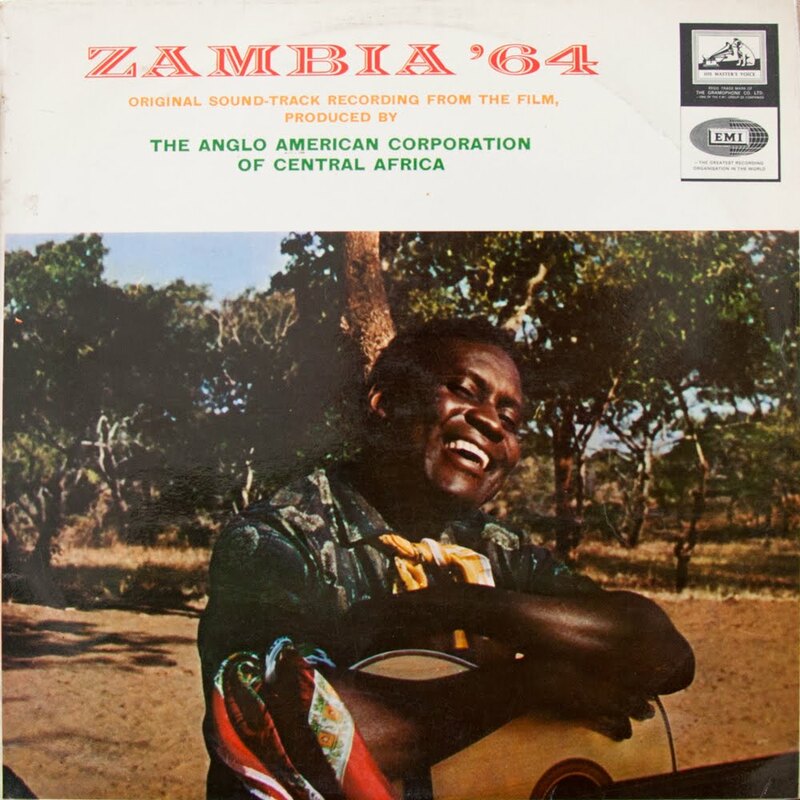 An A-Z of Independence optimism in Zambia that features one track from Baba Gaston, the Congolese band leader who became very popular in East Africa. See more about him at MUZIKIFAN. The other tracks, whilst interesting, are of historic rather than musical interest. "Zambia '64 is a new colour film made by the Anglo American Corporation of Central Africa as a contribution to the country's Independence Celebrations. The world premiere was held in Lusaka on October 23, 1964, at the 20th Century Cinema. The film is an essentially human impression of a country and its people. To recreate this impression on scene all scenes, from sophisticated hotel to remote village hut, were photographed in actuality. Acting, where called for, was achieved in all cases by local people. In a country the size of Zambia the making of a film of this type is something of an achievement. To obtain the filmic material the unit involved on this production traversed the country several times by road and air and logged up some 15, 000 miles. 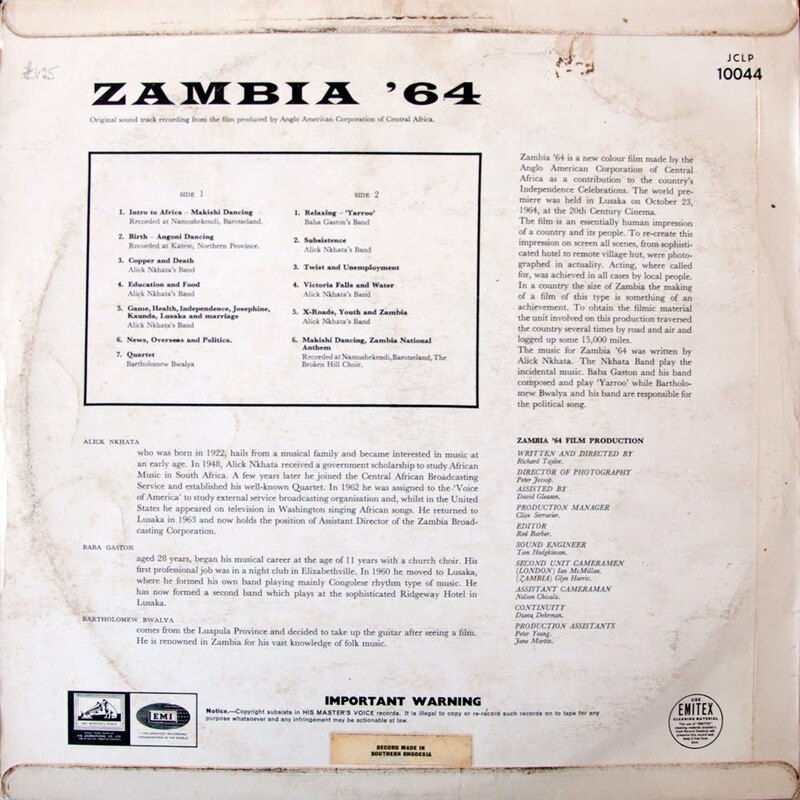 The music for Zambia '64 was written by Alick Nkhata. The Nkhata Band play the incidental music. Baba Gaston and his band composed and play "Yarroo" while Bartholomew Bwalya and his band are responsible for the political song. "Alick Nkhata who was born in 1922, hails from a musical family and became interested in music at an early stage. In 1948, Alick Nkhata received a government scholarship to study African Music in South Africa. A few years later he joined the Central African Broadcasting Service and established his well know Quartet. In 1962 he was assigned to the "Voice of America" to study external service broadcasting organisation and, whilst in the United States he appeared on television in Washington singing African songs. He returned to Lusaka in 1963 and now holds the position of Assistant Director of the Zambia Broadcasting Corporation. Baba Gaston aged 28 years, began his musical career at the age of 11 years with a church choir. His first professional job was in a night club in Elizabethville. In 1960 he moved to Lusaka, where he formed his own band playing mainly Congolese rhythm type of music. He has now formed a second band which plays at the sophisticated Ridgeway Hotel in Lusaka.Bartholomew Bwalya comes from the Luapula Province and decided to take up the guitar after seeing a film. He is renowned in Zambia for his vast knowledge of folk music. Today we feature a great transitional LP that sits somewhere between the late majuba jazz sounds of the 1950s and the very early mbaqanga perfected by the team at Mavuthela in the mid 1960s. Many of the key architects of that Mavuthela sound — West Nkosi, Reggie Msomi — are featured on this album and in some respects this album could be viewed as a precursor to the coming stylistic phenomenon. 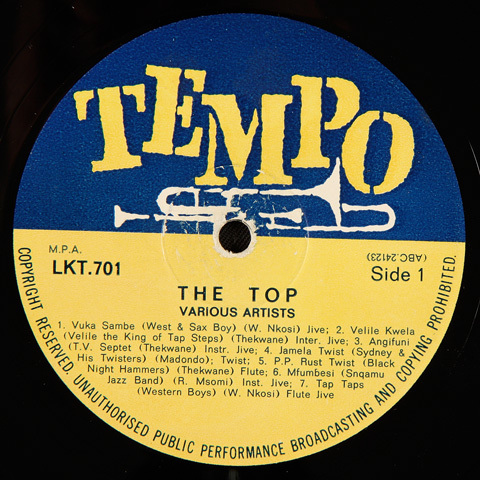 Issued in 1964, The Top 14 does appear to be GRC's first LP release on the Tempo label. 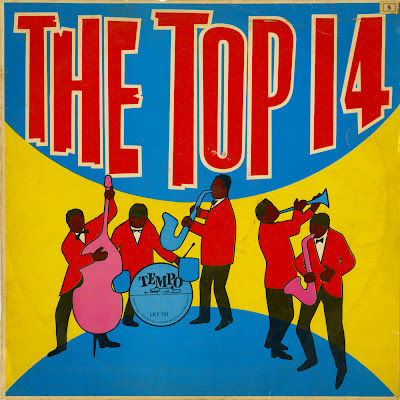 The album, like many others during this time, comprised of tracks previously issued as 78 rpms with recording dates probably ranging from 1960 to 1964. This compilation includes six tunes by, saxophonist, David Thekwane — aka Velile the King — who would go on to become a major producer for Teal records in the 1970s. 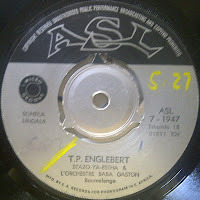 As a young penny whistler in Pimville, Johannesburg, Thekwane came to the attention of talent-scout Strike Vilikazi who brought him on as an assistant and salesman at Trutone Records in 1955. Thekwane's first group was the Mofolo North Stone Breakers but after taking up the alto-sax continued recording under a number of different pseudonyms including Mr. Dube, Velile the King, Baby Face, etc. On this album he performs with or as Velile the King of the Tap Steps, the TV Septet and the Black Night Hammers. According to Yvonne Huskisson, Thekwane moved to Teal as a producer in February, 1969 though Rob Allingham has it as 1972. Nevertheless one of his biggest selling groups at Teal were the iconic Movers and he was producing their records as early as 1970. Allingham also suggests that Thewane intimidated many of his musicians with physical violence — an interesting detail enhanced by Huskisson's last note that his favorite hobby was boxing. West Nkosi also performs here under two pseudonyms — "West and Sax Boy" and Western Boys — featuring amongst others, himself and Lazarus 'Kid' Moncho. The album also includes the track Walk to Dube by the Snqamu Jazz Band which was later reissued on the compilation: Township Swing Jazz Vol. 2 compiled by Rob Allingham. Allingham’s notes on the CD set the recording date for this particular tune as September 27, 1960 and the band personal as: Thami Madi on 1st alto, Christopher Songxaka on 2nd alto, Paul Rametsi on tenor, Jordan Bangazi on trumpet, Reggie Msomi on guitar, Saul Manikela on banjo, Johannes 'Chooks' Tshukudu on bass and Louis Molubi on drums. (With solos by Jordan Bangazi and Paul Rametsi.) Remarkably the line-up here comes closes to Spokes’ Mashiyane’s Big Five at Gallo which is not unusual considering that GRC was a subsidiary of Gallo's. GRC itself, though initially a separate company, had a relationship with Gallo where they shared the same recording studios hence the common ABC matrix numbers. At some point the two companies would eventually merge to become Gallo - GRC. As with issues on 78 and 45 rpm, the Tempo label on The Top 14 LP is consistent with the first design showing a trumpet on yellow and blue. 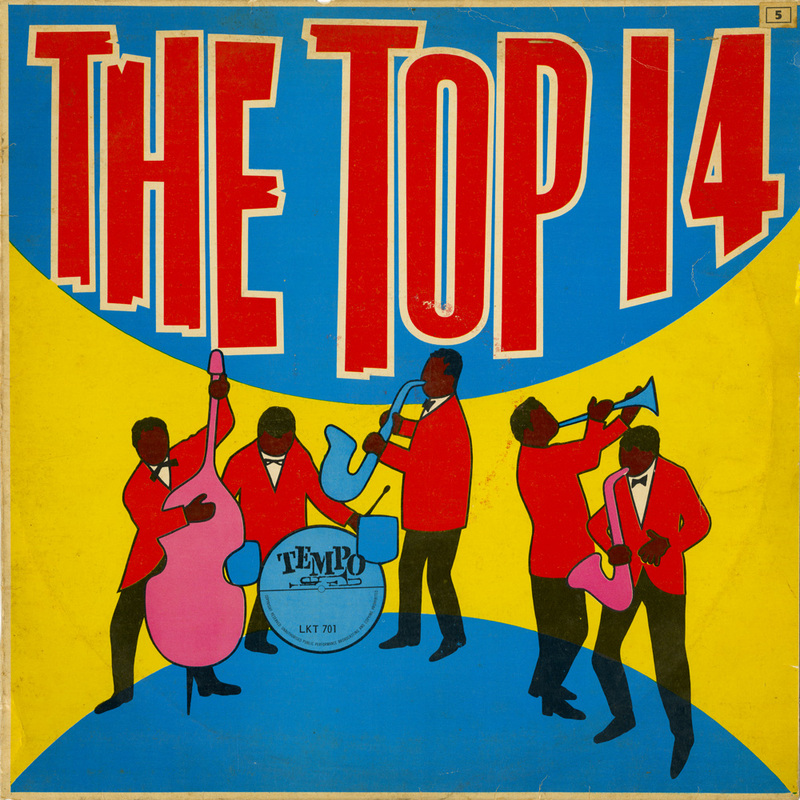 In 1966 the label was sold to Trutone where the design remained the same for some issues, but was eventually redesigned with the familiar black and green pictured above. To read the liner notes or view the track listing, check out the album here at flatinternational.